The Office of International Relations, in partnership with the City of Charlotte’s Neighborhood and Business Services, is hosting its annual International Entrepreneurs and Small Business Owners (IESBO) meeting in September. This year’s meeting will focus on restaurant owners and operators. 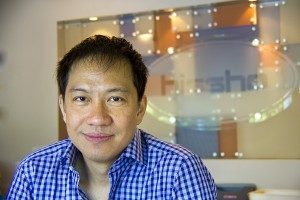 In preparation for that meeting, we spoke with Philip Maung, owner of Hissho Sushi about his experiences as an international entrepreneur in Charlotte. CharlotteBusinessResources.com (CBR): First, tell us a little bit about yourself. What led you to move to Charlotte, and what made it an ideal place to start your business? 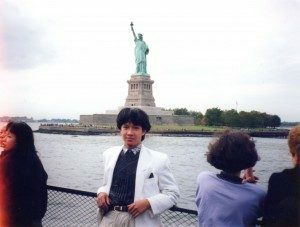 Philip Maung (PM): I came to the U.S. in 1989 from Burma (Myanmar) with only $13 in my pocket. I worked an overnight shift in a service station in Los Angeles, CA so I would have time to study and learn English, while also studying for my real estate license at the same time. The real estate market was okay for a time, but I didn’t have a passion for it. 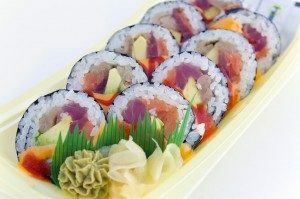 I saw that sushi was becoming very popular on the West Coast, so I learned all I could about the business. I was sent to Charlotte by the company I was working with and actually opened up the sushi bar in the flagship Harris Teeter in Morrocroft. I really liked Charlotte and thought it would be a great place to settle. After finding success and realizing that my passion was food, I believed I could launch my own sushi business. Because there were so many banks in Charlotte, I thought I could borrow the money I needed to get started. I found this was not the case, and nobody from any bank would even talk to me. So I borrowed from credit cards, from family members, and used up my meager savings to start Hissho Sushi on my dining room table in April 1998. CBR: Tell us about your business. How is it unique from other restaurants in Charlotte? PM: We do not have a retail footprint at this time. Our products are shipped from our headquarters on Steele Creek Road in Charlotte to grocery stores and other entities. Our trained chefs make fresh sushi every day for their market. We are currently in Earth Fare markets, Concord Mills Mall, two locations at Charlotte Douglas International Airport, CMC hospitals, Dean and DeLuca at Phillips Place, and in Soul Gastro Lounge on Central Avenue. CBR: What has been the greatest challenge for you as an entrepreneur? PM: To learn to go slow, to go fast, and to maintain our Hissho culture even with the expansion we’ve seen. I used to believe that making money was the top priority, and for years was driven to succeed at any cost. I was tired, our staff was tired, and although we were working hard to succeed, we were not happy. It was all work all the time. Then I finally picked up a book given to me a couple years earlier by a long time mentor and took the time to read Good to Great by Jim Collins. This literally was a turning point. I called my managers together, and over a two-month period, we created our own core values that we wanted to guide us going forward. In hindsight, I wish this had been one of the first things I’d done at the beginning of our business. I finally realized that money isn’t everything. Our core values determine and guide our business culture, and making sure our employees are happy is crucial to our ability to grow without losing sight of our goals. CBR: You are the winner of numerous awards and recognitions, including the 2012 Patrick McCrory International Entrepreneur Award (given at the Mayor’s International Community Awards), and the 2012 Minority Business Enterprise of the Year (given at the inaugural Crowns of Enterprise Awards). What does winning these awards mean to you? PM: They are humbling. To be recognized by our greater Charlotte community in this manner has been quite an experience in which I give the credit to all our Hissho employees. It’s never just one person, and I certainly could not have done it alone. 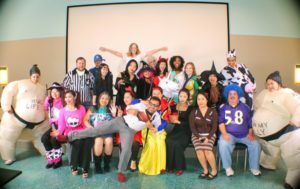 We are a committed team and choose to give back to the community whenever possible. CBR: How has winning these awards influenced or affected your business? PM: I see this as another catalyst for recognition and growth in that people are finally starting to get to know us. We’ve kept a relatively low profile with our focus being on a slow steady day-by-day “getting it done” and doing our utmost to be the best we can. When people hear about Hissho, and then see our sushi in various locations, they are more willing to try it, since they’ve heard about us. It’s never one thing, but a marvelous compendium of taking small steps consistently on a daily basis. CBR: What advice would you give fellow entrepreneurs that you wish you had known when you first began your career? PM: Follow your passion! If you don’t love what you do, get out, and find something you do love. And realize it isn’t always about the money, but having a balance in life. If you and your employees aren’t happy, then your growth will be stymied. CBR: What is one thing you would like the public to know about your restaurant that they might not already know? PM: Although we do not have a restaurant at this time, what I would like for people to know is that we do have a passion for what we do. We practice our #1 core value: “Great Hissho Service, High Speed & High Touch.” We offer absolutely fresh sushi every day, using the finest quality ingredients, at affordable price points in convenient locations. We’ve been told over and over that our sushi is as good, or better, than what is offered in the finest restaurants. If you haven’t tried Hissho Sushi, we hope you will. CBR: Anything else you would like to add? PM: I want to thank you for allowing me the opportunity to share some of my story, and for the support I have received from my employees, our customers, and our community. Thank you for a great interview, Mr. Maung! If you want to learn more about Hissho Sushi, be sure to visit their website, like them on Facebook, and follow them on Twitter. They also have beautiful photos on Pinterest! The objective of the IESBO meeting is to offer Charlotte’s International Entrepreneurs and Small Business Owners a chance to learn about the opportunities and resources available to help them grow their businesses in Charlotte. 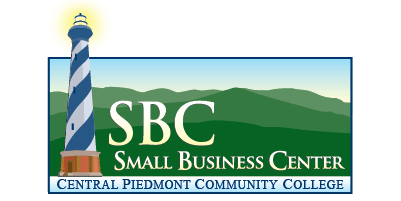 This year’s meeting will focus on restaurant owners and operators, and there will be workshops and presentations on marketing; loans, grants, and other financial lending options; human resources; and code enforcement and health inspections. Please visit the IESBO webpage for more information and to RSVP!